AMA worked in collaboration with Global Documentation as part of the ongoing energy efficiency projects for the Standard Chartered Bank to help the client to achieve their aim of a low energy and low carbon building. 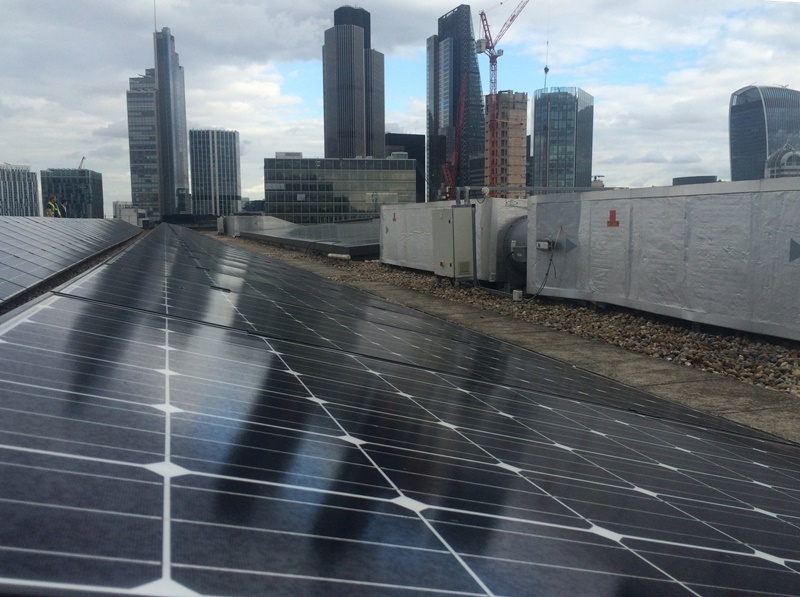 30kWp solar photovoltaic installation at the Bank’s headquarters at 1 Basinghall Avenue in London. The old green roof of poor ecological quality was replaced with a new green roof with more diverse planting and PV array mounted on special green roof platforms. The two systems work in synergy as the PV array offers shading and moisture for more floristic variety, thus increasing fauna and enhance local biodiversity. Evapotranspiration from the green roof helps to keep the PV panels cool and work more efficiently.